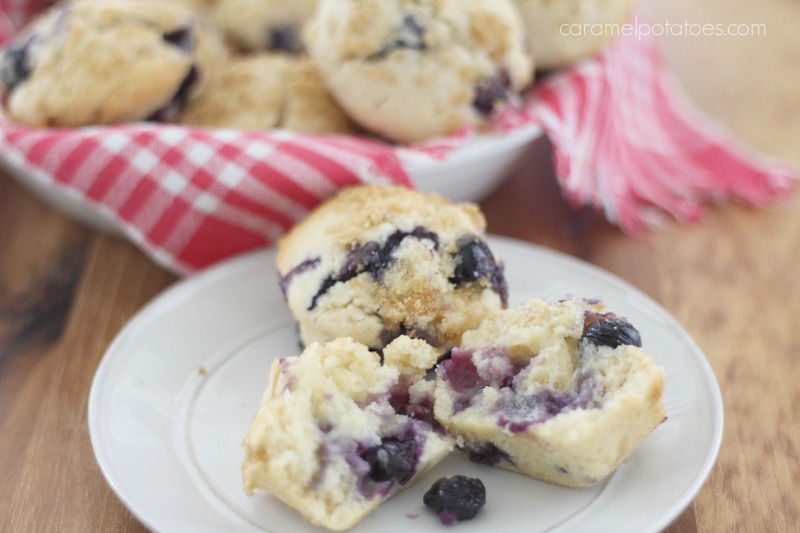 Blueberry Muffins are such a classic favorite. They are wonderful hot out of the oven with butter melting on them, but they are also perfect to take for lunch or for a late-night or after-school snack. And is there a better gift for welcoming new neighbors or as a special homemade gift? These Brown Butter Blueberry Muffins are easy to put together, the key is browning the butter before you begin to give the muffins a richer, deeper flavor – perfect for fall. The butter only takes a few minutes, then you can mix these muffins up in one bowl – no mixer needed. 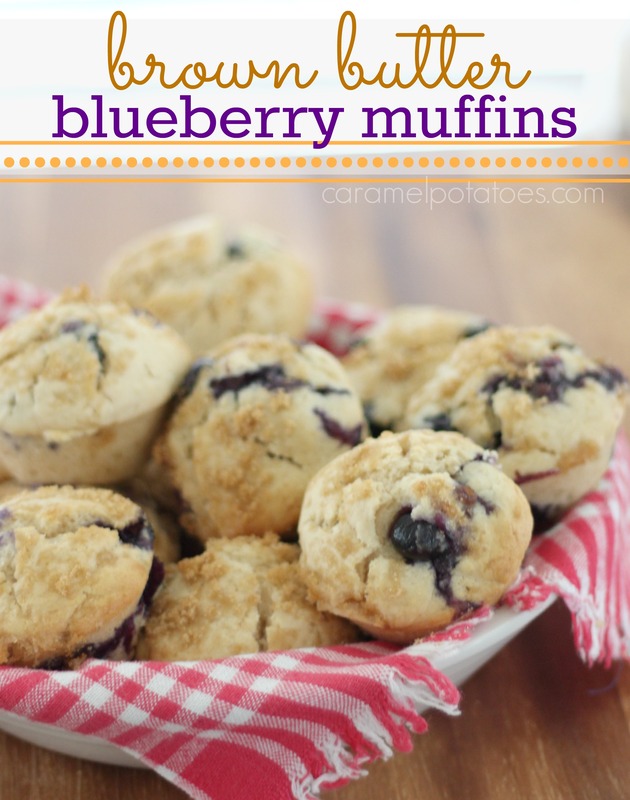 The result is hot and simple muffins bursting with fresh blueberries in just minutes! Preheat oven to 400. Line a 12-cup muffin tin with paper liners or coat with cooking spray. In a large bowl, whisk together the flour, baking powder, salt, and sugar; make a well in the center. Melt the butter in a saucepan over medium heat. 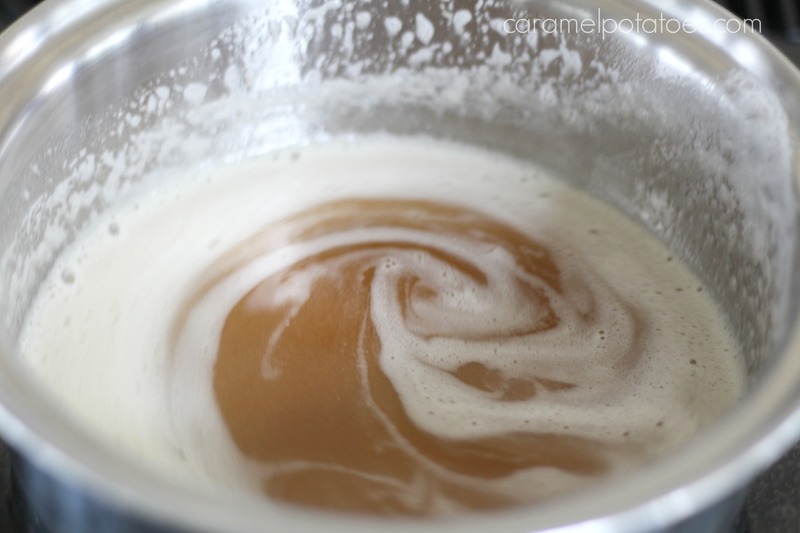 Once it melts, swirl the pan until the butter begins to brown and smell nutty, 2-3 minutes. Remove from heat. Pour the butter, milk, and egg into the well of flour and stir to combine (a few lumps in the batter are okay- don’t over mix.) 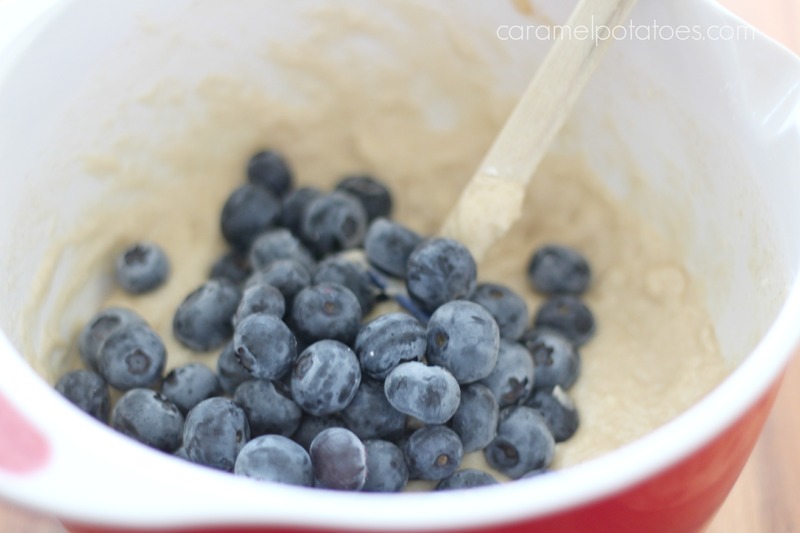 Fold in the blueberries and divide the batter amount the muffin cups. Sprinkle with the 2 tablespoons of brown sugar. Bake 16-20 minutes. Let pan cool on wire rack before removing muffins. As I was reading this post–I knew I had to make these this morning. I think (hope) it is finally fall here in S. Calif–woke up to a temp of 59. Muffins are in the oven now. I didn’t have fresh blueberries so went with frozen–but they look great. The smell is wafting through the house and has woken the dog–I imagine DH isn’t far behind. I will be trying these real soon to use up fresh blueberries that I had frozen. Will let you know how they turn out. Frozen blue berries worked out great. I did not thaw them, they just set out whilst I did everything else. I baked them 2 minutes longer just for good measure(22 min. total). These were bursting with berries. We are in Love!